We offer guided visits for individuals and groups. Guided visits are dialogue-based tours of an exhibition. If you are coming on your own or in a small group, why not simply join one of our public guided visits? Simply register at the Information Desk in the lobby. If you are coming with a larger group of 15 people or more, feel free to book a guided visit tailored to your needs with our Visitor Services. Guided visits of our exhibitions can be booked free of charge for groups of 15 people or more. Please discuss the date, size of the group and your needs with Visitor Services. Tours generally last 90 minutes. 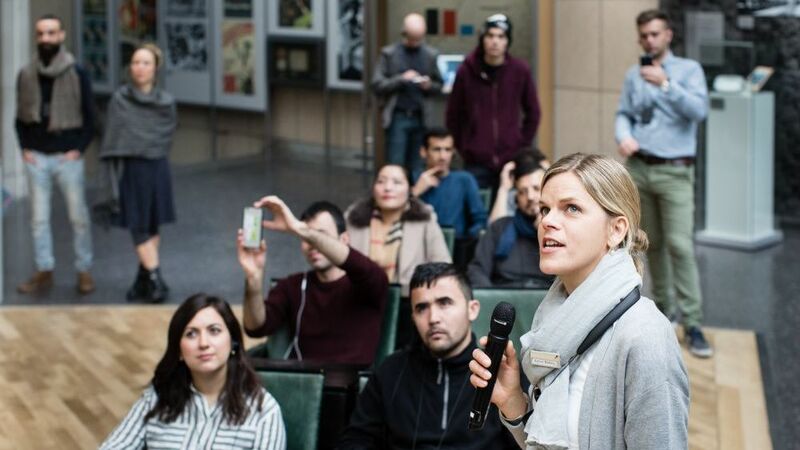 If your group doesn’t speak German, we offer guided visits in Dutch, English, French, Italian, Polish, Russian, Spanish, and Turkish as well as German tours with an Arabic interpreter. We are happy to address any special needs. If you require an inclusive guided visit, simply contact our Visitor Services in advance. You are coming with your family, a small group or on your own and want to take part in a guided visit? 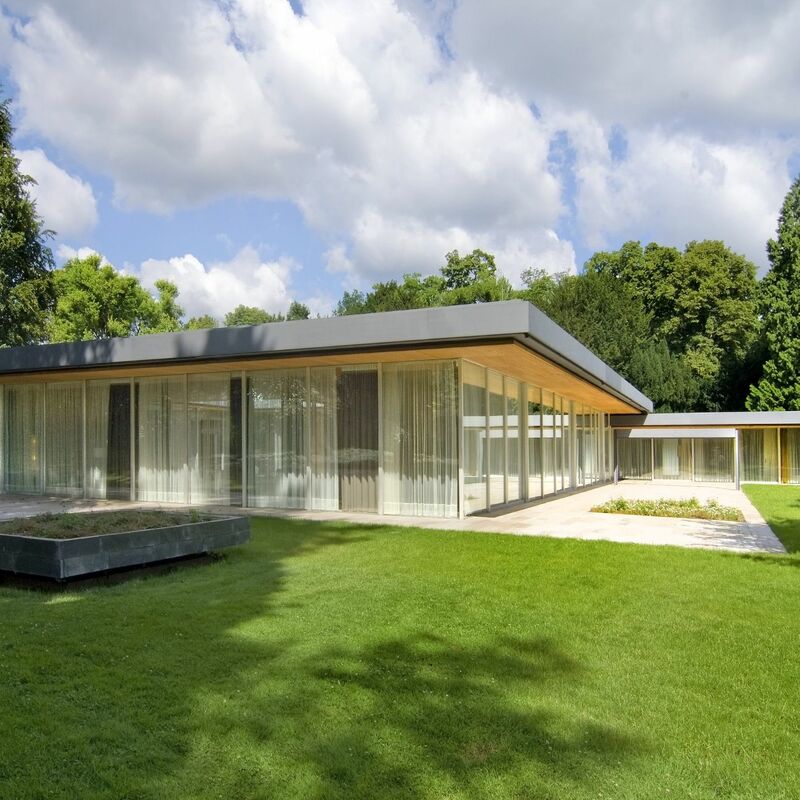 There are several public guided visits in German each week of our exhibitions at the Haus der Geschichte, the Chancellor’s Bungalow, the Bundesrat and in the summer months in the museum garden. As a rule, the guided visits run for 60 or 90 minutes. 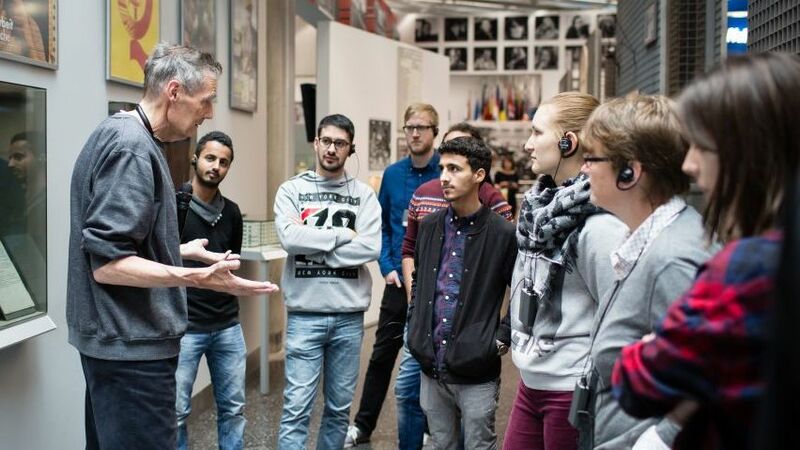 There’s no need to book in advance to take part in a public guided visit of one of the exhibitions at the Haus der Geschichte. Simply register on the day at the Information Desk in the lobby. Please note the special registration formalities for the Chancellor’s Bungalow. Please beware that these regular guided visits are all in German! 11.00 Permanent exhibition "Our History. Germany since 1945"
17.30 Permanent exhibition "Our History. 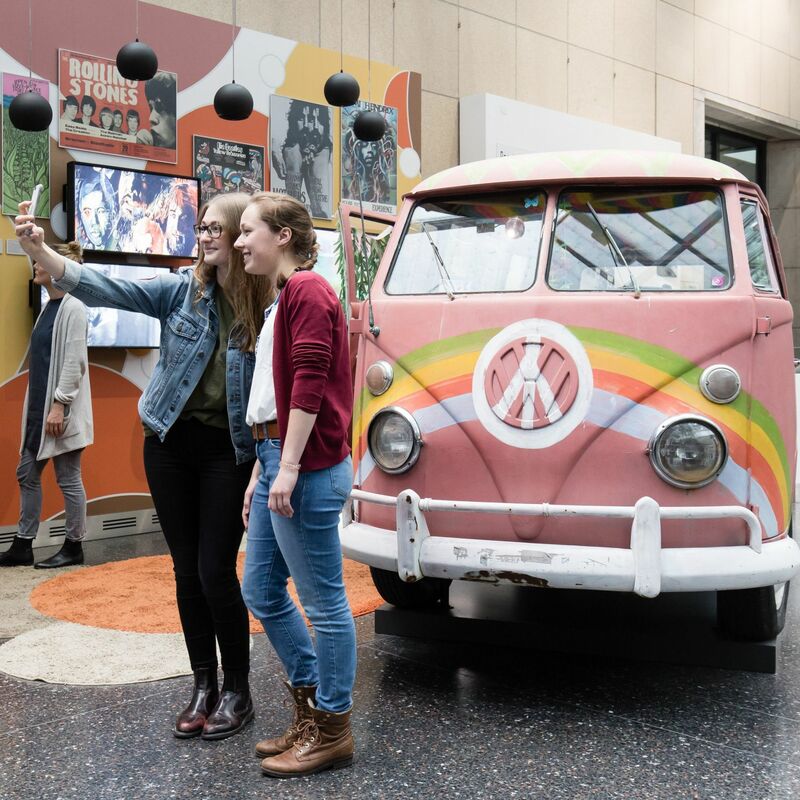 Germany since 1945"
Our permanent exhibition shows Germany’s development from the end of the Second World War to the present-day globalized 21st century. Visit the Federal Chancellors’ former residence and reception building. Please note the special registration formalities for the Chancellor’s Bungalow. 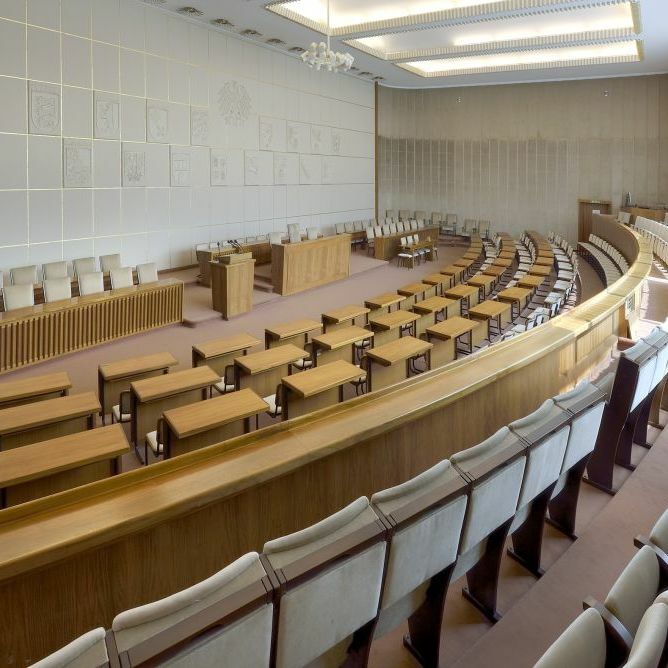 Visit our new exhibition on the German Basic Law and the historical site of the plenary chamber. 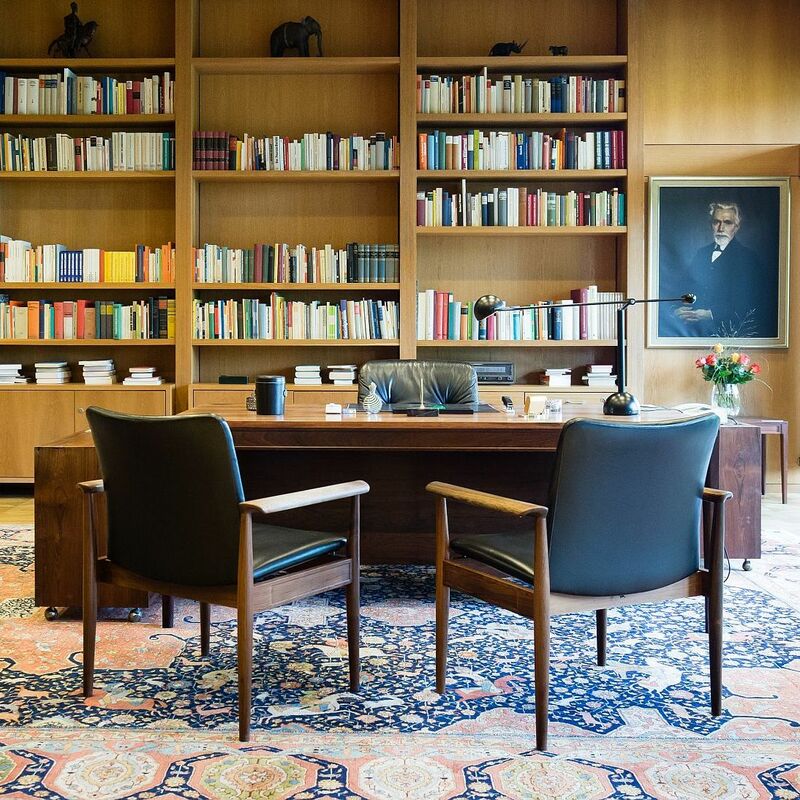 Visit the historical site of the Chancellor’s study, which is fitted out with the original furniture Chancellor Helmut Schmidt chose.